Back about a million years ago, after graduating college, I decided I needed a handgun. At the same time, I didn't even know what I didn't know about guns and shooting. However, I had seen Lethal Weapon and I liked the gun Riggs carried: the Beretta 92. With all this stuff going for the Beretta 92, it seemed like the perfect choice for this dumb 22-year-old kid just out of college. Looking back, I wasted a lot of time, money and ammunition trying to self-learn how to shoot that gun well. A few years later, I enrolled in Mas Ayoob's then-Lethal Force Institute I class as my first formal training. (Today the same course is known as "MAG-40".) I soaked up the attention of Ayoob, Robert Houzenga and Andy Kemp. Believe me, I needed plenty as I didn't know jack. 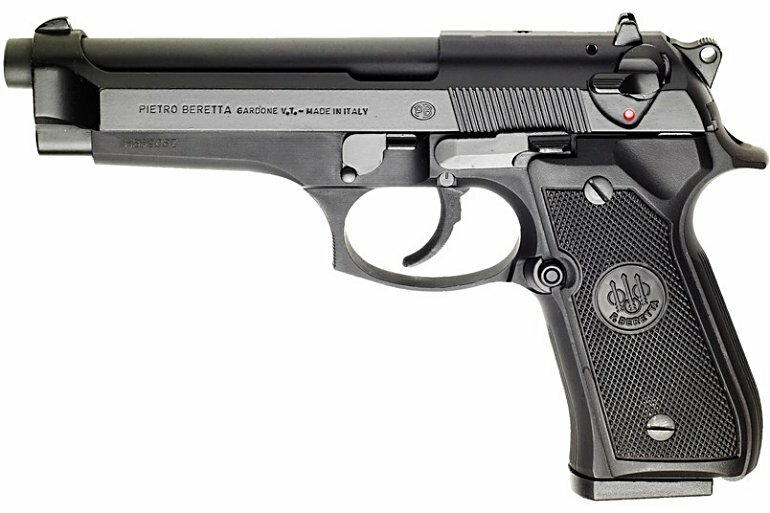 As much as I like Beretta as a company, I don't recommend the Beretta 92 to folks. Unless people want a big, bulky, relatively heavy gun with a double-action trigger that's tough for beginners to shoot well. IF that's what you're looking for, have at it. Gun shops still have them around. Sometimes with a little dust on the boxes, but they are still there. In fact, Massad Ayoob "rode the trigger" with me to show me how to shoot that challenging first shot in a Beretta 92. Since then, I've ridden the trigger with new shooters plenty. It has helped me watch countless kids and adults experience that "a-ha!" moment as their faces light up. I can see what they are thinking in their expression, "Hey, this really works!" Or sometimes, "How'd he do that?!? He was watching my hands, not the target!" Seeing their faces light up makes my time teaching all worthwhile, and I have heard plenty of other altruistic instructors say those moments make their time teaching newbies worthwhile. Yes, folks, once you have the fundamentals of stance, grip and sight-picture out of the way, 90% of making good hits has to do with good trigger control. In the end, I have lost more than a couple of Beretta 92s to tragic boating accidents. And if you sneak a peek into my nightstand, you'll find a Beretta 92 all snuggled up next to a tactical flashlight, extra magazines (loaded with Winchester Ranger 124gr JHPs), extra M1 carbine magazines (loaded with Hornady Critical Defense), a few loose shotgun shells (mostly reduced recoil 00-buck) and some electronic ear muffs. At least until the twins start crawling, then it'll have to go elsewhere. This entry was posted on January 24, 2019 at 8:00 am and is filed under GunNews. You can follow any responses to this entry through the RSS 2.0 feed. Thanks for the interresting story, John, my first pistol is a .22cal. single-six Ruger, bought, because of limited finances, from my brother-in-law's estate auction. He got me interrested in firearms, shooting, and second amendmeent rights, was an avid shooter although I never had a chance to go with him to shoot, I wanted one of his firearms for remembrance. My second is a Browning BDA .380, heavy compared to recent concealed carry .380s, but I still own it and shoot it occasionally, the pistol I used in my first "personal protection in the home" class. Have acquired several different pistols since, my favorite being the .40cal. mod.23 Glock I won at a GSL meeting after buying 2-$5 tickets. I call it my $10 Glock, at the next meeting You and/or the club gave me about 250 rouunds of ammunition for it and I really appreciate the comeraderie at the meetings for someone on limited finances. Thank you for all you do for GSL and second amendment rights. We know your twins will be well versed in firearms and freedom, may God Bless and keep you and your family safe.